NUTRITIONNELLE Dry Skin Rescue Cream to brings comfort, hydration and protection to even the driest skin. This soft, rich cream replenishes the skin’s lipid content with a quartet of marine and plant oils, restoring moisture and guarding against dehydration. , NUTRITIONNELLE instantly banishes tightness and discomfort, leaving the skin supple, smooth and visibly plumped. It has a fresh, delicate scent with notes of jasmine and rose and leaves a lightweight, velvet-soft finish to pamper the skin from morning to night. Apply morning and evening to perfectly cleansed skin. Suitable for dry or very dry skin. • Dictyopteris Oil - derived from brown algae. Promotes the synthesis and transport of lipids. • Glasswort Oil - hydra-replenishing. Boosts the synthesis of urea and reinforces the skin’s lipid barrier. • Buckwheat Oil - anti-water-loss. Enhances the skin’s intercellular cement. • Apricot Kernel Oil - reinforces the skin’s hydrolipidic film and improves its barrier function. • HYDRAFUSION® - concentrated extract derived from red algae. 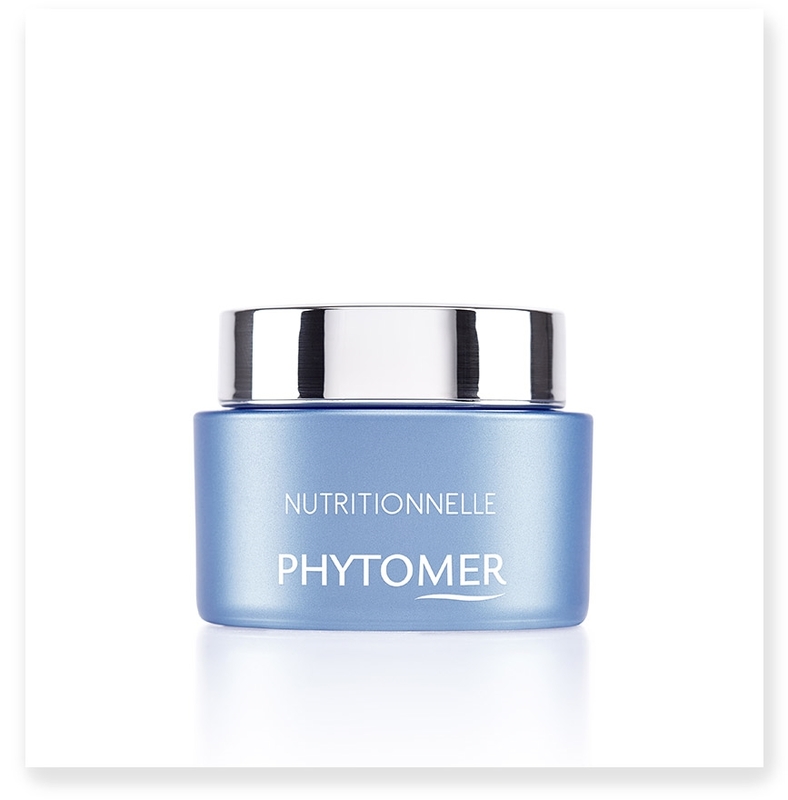 Boosts hydration and plumps the skin with instant moisture. Maintains moisture long-term and in any weather conditions. • Ceramides - restore the skin’s barrier function by filling in gaps in the skin’s structure. I tried this as the suggested replacement for Phytomer RICH THERMO cream and really like it. My skin is very dry and it keeps it nourished and comfortable.